Relax and enjoy the excellent service aboard your chosen airline as you wing your way to the cosmopolitan city of New Delhi, India. Your private driver and guide who will accompany you to your hotel for some rest and relaxation prior to beginning your noontime touring of the city will meet your early morning arrival. Sightseeing begins with a view of the Parliament, India Gate, and President’s House. Continue to Old Delhi and stroll through the Red Fort and its audience halls, one of which was the former site for the “Peacock Throne”, one of the Fort’s magnificent treasures taken during a victorious conquest by invading marauders. Visit the Jama Masjid Mosque where a call to prayer pervades the narrow cart lanes of the Chandi Chowk bazaar. 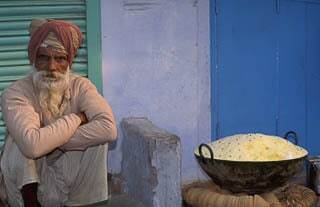 The street scenes present a myriad of colors and activities found only on the pathways of Old Delhi. A visit to the Ghandi Memorial completes the day, allowing you time for an evening at leisure. Leave the bustle of New Delhi behind as you travel cross-country with your private driver and guide to the city of Agra, holding title to three UNESCO Heritage sites, namely the Taj Mahal, Agra’s Red Fort and Fatephur Sikri. 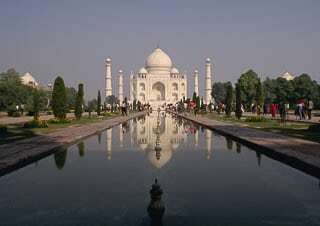 The most notable, the Taj Mahal was begun in 1632 by Shah Jahan as a symbol of love for his wife, Mumtaz Mahal, it took the work of over 20,000 laborers to complete the project. It’s sheer beauty and symmetry is a wonder to behold. Visit the Taj at sunrise, mid-morning and with a sunset view from Agra’s Red Fort – each a completely different experience. Your local guide will stroll with you along the footpaths of the gardens as well as enter the Taj, allowing ample time for you to photograph and reflect upon the serenity inspired by this remarkable setting. Continue on to Agra’s Red Fort, where Shah Jahan spent his last days overlooking his monument of love, the Taj Mahal. It is from this vantage point that you gain another dramatic view of the Taj. Today’s journey takes you to the “Pink City” of Jaipur. En route stop at the beautifully maintained site at Fatephur Sikri. 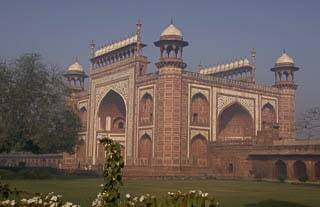 Built by Akbar as a capital city, it was thereafter abandoned and left deserted. 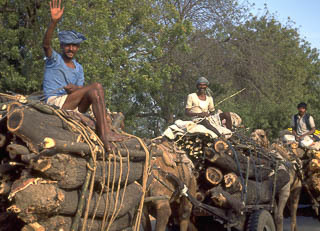 Upon completion of your visit, a short drive over country roads lead you to the main highway for an exciting commute past caravans of tribesmen and camels carting wood supplies to the marketplace. Begin your ascent to Amber Fort by elephant as you slowly climb the hillside that, together with the massive walls, helped protect the inner palaces and temples. It is a never-ending complex of inner halls and courtyards that literally come to life with the telling of its history by your private guide who will accompany you throughout the day. Descend the fort to drive through the old city where you will see the buildings of reddish stone giving title to the “Pink City”. 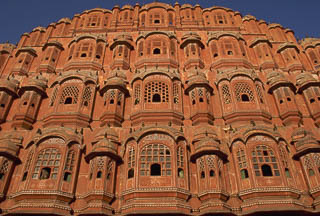 Pass the Hawa Mahal or “Wind Palace”, primarily a façade that allowed the women of the court to privately view the gala processions. Return to your hotel to enjoy a leisurely lunch, and thereafter, continue your exploration with an afternoon visit to the City Palace where you will find an elaborate collection of period costumes and old weaponry. Excitement fills the air as you travel toward the renowned Ranthambhore Tiger Sanctuary, where you will begin your hunt and capture by memory or in photo of the elusive and awe-inspiring Bengal Tiger. Two safaris will be arranged for you to enjoy the bountiful vegetation and the abundant varieties of wildlife that inhabit the region. 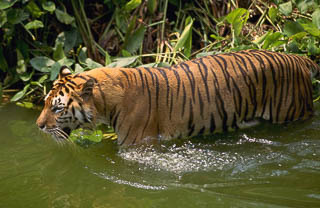 The National Park at Ranthambhore provides the traveler with an excellent opportunity for sighting a Bengal Tiger – a thrill beyond comparison. A final safari awaits the adventuresome that choose to avail themselves of a last chance meeting with the Bengal Tiger in the wild. The chance to find the tiger in these environs is excellent with the sightings prolonged as the experienced rangers take their vehicles ever so close to their location. Return to the comfort of your abode for a hearty breakfast before your departure by road and air to the holy city of Amritsar, site of the Golden Temple. Founded in 1577 by the fourth Sikh Guru Ram Das, Amritsar is the spiritual and cultural nerve center of the Sikh religion. 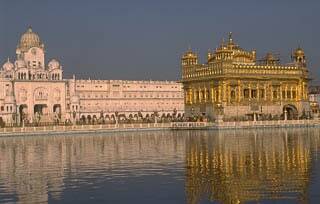 This morning, visit the magnificent Golden Temple known by locals as Armanda Sahib. It is the holiest shrine of the Sikh community and a superb synthesis of Islamic and Hindu styles of architecture. The temple is surrounded by the holy waters of the Amrita Samovar. The holy texts of the Guru Grant Sahib are recited daily in the sanctum within this temple. The pool of water is said to have curative properties, and devotees travel here from across the world to bathe in its sacred waters. Visit the Central Sikh Museum, which houses paintings, coins, manuscripts and arms. This afternoon, drive to Wagha Border, between India and Pakistan to watch the Beating Retreat and the Change of Guard taking place within handshaking distance of the Indian and Pakistani forces. In the evening, revisit the Golden Temple to watch Palki Sahib, in which Guru Granth Sahib is taken back to Akal Takht. A connecting flight through Delhi wings you to Jodhpur and your luxury boutique hotel located inside the Walled City. Rao Jodha, the Rathore ruler of the kingdom of Marwar, founded this historic city in 1459. With the majestic Meherangarh Fort towering over opulent palaces, colorful bazaars and the sands of Thar Desert, Jodhpur epitomizes all the romance and feudal splendor of Rajasthan. 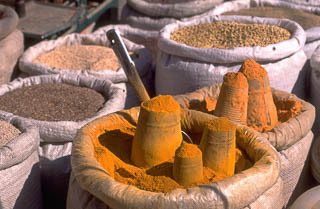 In the late afternoon, explore the medieval bazaar of Jodhpur, where merchants are selling textiles, antiques and spices. The bazaar lies clustered around a clock tower and is a fascinating area to explore with its little shops selling silver jewelry, lacquer bangles, tie-dyed fabrics, soft camel leather shoes, puppets, clay figurines and colorful heaps of sweets and spices. 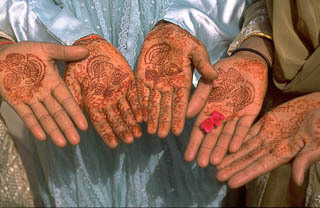 The pavements are lined with henna artists who decorate women’s palms with intricate, lacy patterns. This morning, visit the Meherangarh Fort, the most authentic surviving taste of ceaseless rounds of war, honor and extravagance that characterized Rajputana. The royal apartments within the fort now form part of the outstanding museum. Its rich and varied collection includes a golden throne, fine miniature paintings, traditional costumes and fascinating weapons. Proceed to Jaswant Thada. This elegant pillared marble memorial with its fine lattice carving is the cenotaph of Maharaja Jaswant Singh II whose innovative irrigation schemes brought water and prosperity to this parched land. Local people regularly come here to offer prayer and flowers at his shrine. Cenotaphs of subsequent rulers and members of the royal families are also located here. 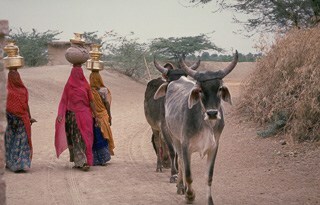 In the afternoon, travel a distance of 180 miles in 5 hours to Jaisalmer. 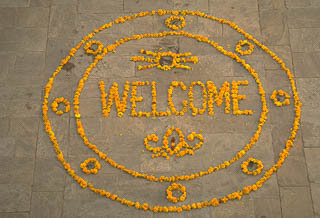 Arrive in Jaisalmer and check-in to Suryagarh – a luxury boutique hotel. Its creation has been a labor of love enabled by local craftsman, indigenous materials and centuries of architectural expertise. 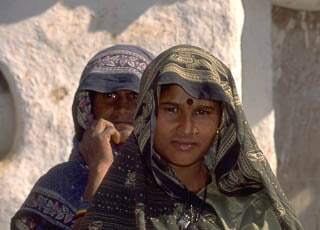 Jaisalmer is the westernmost town of Rajasthan on the fringes of the Thar Desert. This historic city was founded in the 12th century and was once a flourishing trade center strategically located on the busy caravan trade route to Afghanistan and Central Asia. 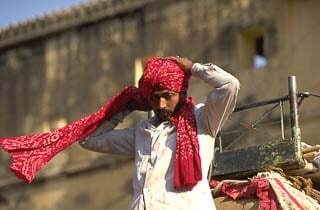 Its earlier rulers grew rich by looting gems, silk and opium from the caravans, but by the 16th century Jaisalmer had become a peaceful town whose wealthy traders built splendid palaces and havelis. Begin the day visiting Gadisagar Lake, a rainwater reservoir built in 1367, which was once Jaisalmer’s sole source of water. The lakeshore is lined with Ghats and temples made of local golden-yellow sandstone with a beautiful gateway leading to the waters. Continue on tour to visit Jaisalmer Fort, which rises like a fabulous mirage out of the sands of the Thar Desert, the awesome contours of its 99 bastions softened by the golden hue of the stone. Built during the 12th century by Maharawal Jaisal and added to by his successors, this citadel stands on the peak of the 263 ft. high Trikuta Hill. 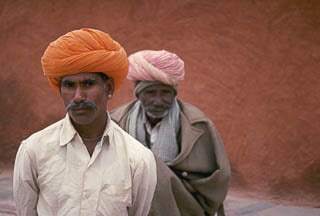 In medieval times, Jaisalmer’s entire population lived within the fort and even these days, thousands of people reside here, making it India’s only living fort. 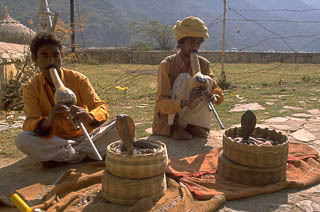 Royal palaces, a cluster of Jain temples and delicately sculpted Havelis are all contained within its walls. Jaisalmer havelis were built in the 19th century by the town’s merchants and ministers and are the most spectacular examples of the Rajasthani stonemason’s art. The havelis of Salim Singh, Nathmalji and Patwon are the finest examples of this type of architecture, their golden stone façades so finely carved that they could be made of lace. In the afternoon, visit some of the beautifully carved Jain temples at Lodruva. These temples are the only remains of a once flourishing Marwar capital. End the day at Sam Sand Dunes at sunset where rippling sand dunes stretch as far as one’s eye can see. Return to your accommodation to enjoy the remainder of the evening at leisure. Your morning drive across the desert sands returns you to Jodhpur for your connecting flight the city of Udaipur. A late afternoon private boat launch glides you across the lake, passing the summer palaces and scores of washerwomen on the Ghats dramatically providing both a scenic and a comparative venue of present day India. A morning visit to the City Palace offers a bird’s like view of the lake below and the hillsides that ring the environs. The palace houses a brilliant display of “Pichwai”, the fine miniature painting made famous by Indian artisans. Drive across the shoreline of the lake to the gardens area, and thereafter return to your hotel for a relaxing lunch and the remainder of the day at leisure. Enjoy a leisurely breakfast and thereafter join your connecting flight to New Delhi for an afternoon of relaxation or further exploration of the city environs. All too soon your holiday has ended and it is time to board your homeward flight to the United States.